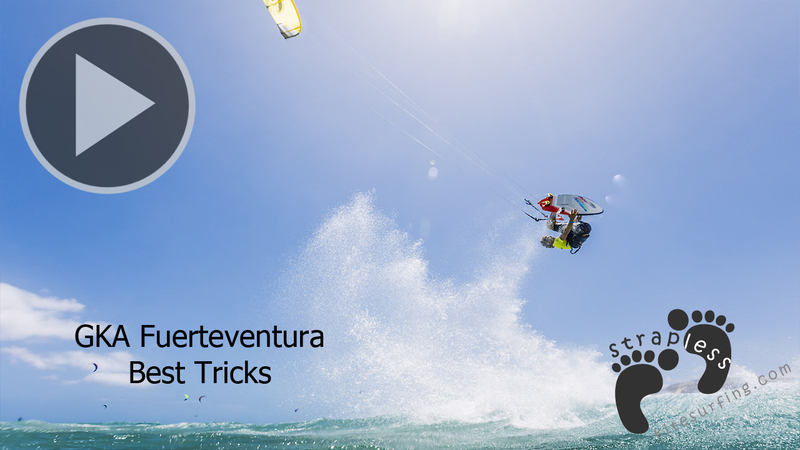 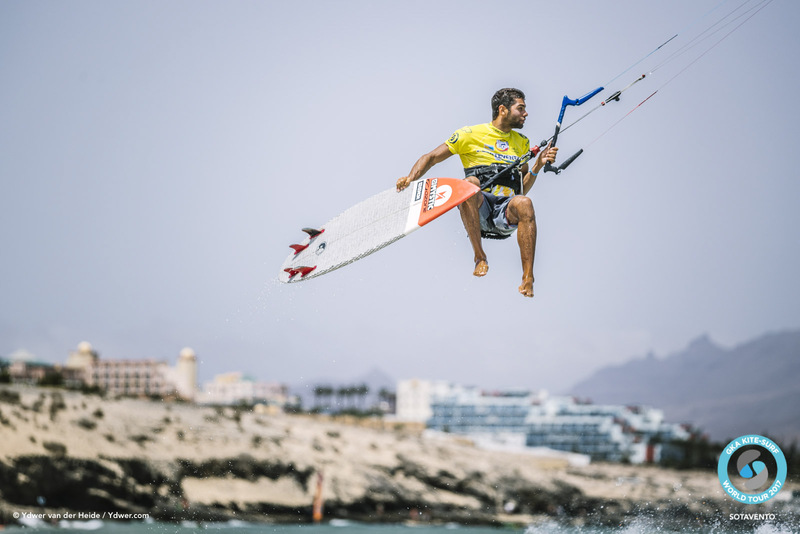 It’s been a solid week of pumping wind here in Sotavento and Friday’s plan was to hold a Big-Air competition in which riders would go for maximum height and ‘wow’ factor over more technical tricks. 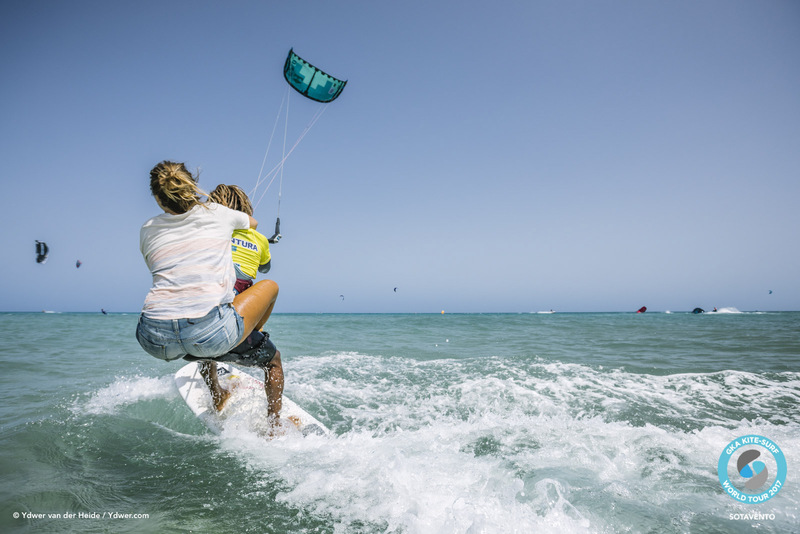 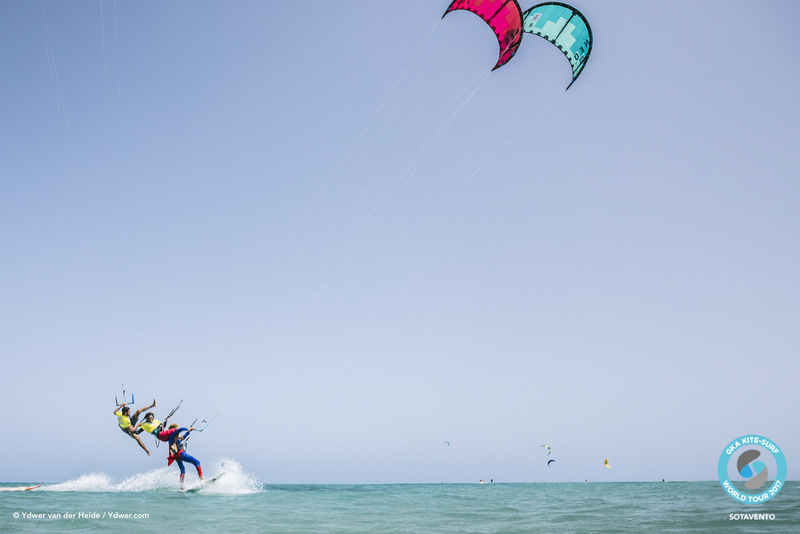 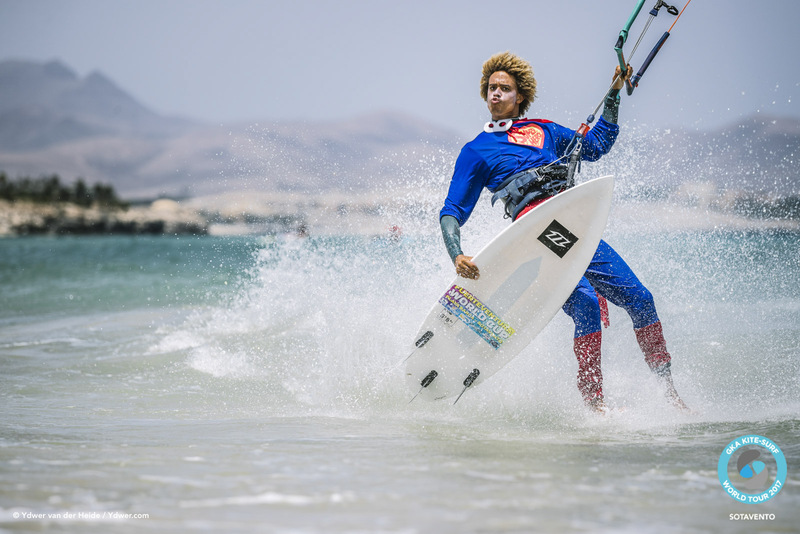 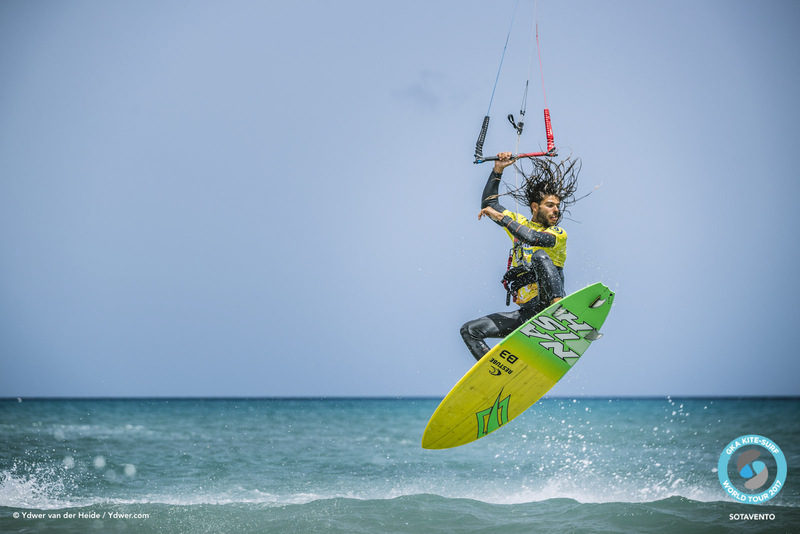 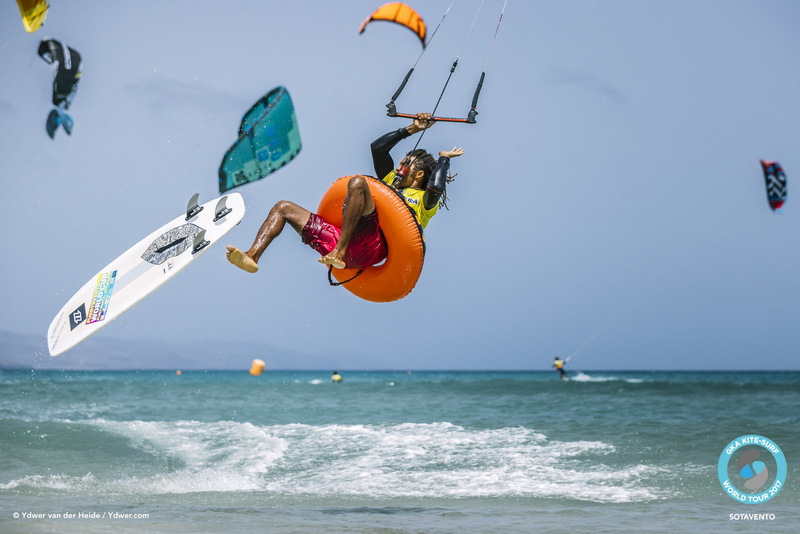 However, with the wind not blowing hard enough and the riders warming up on 8-11 metre kites the decision was made to throw an expression session instead. 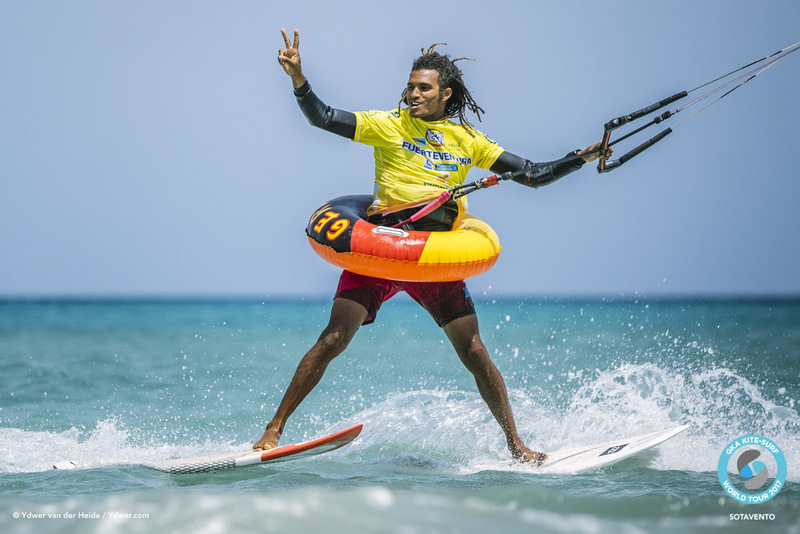 No heats, no scoring and no pressure – the riders were free to do as they pleased and many treated it as an opportunity to go for some new tricks that they might not normally attempt in a competitive heat. 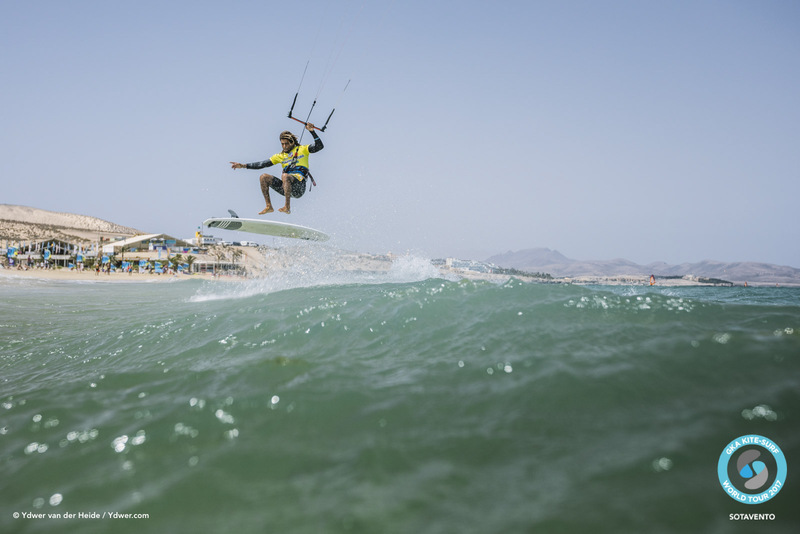 Local rider Thorben Jasper landed a smooth board-off frontroll, a trick not seen yet at this event, while Gustavo Arrojo proved once again that he’s a rider to watch on this year’s tour as he narrowly missed a frontroll shuvit before sticking a 360 shuvit straight after. 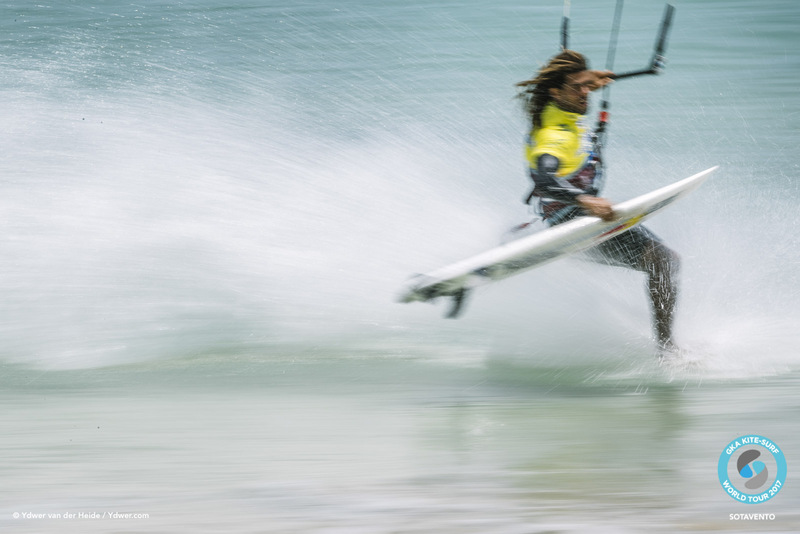 Airton was also pushing it, pulling off a double kickflip transition and then from there the silliness ensued! 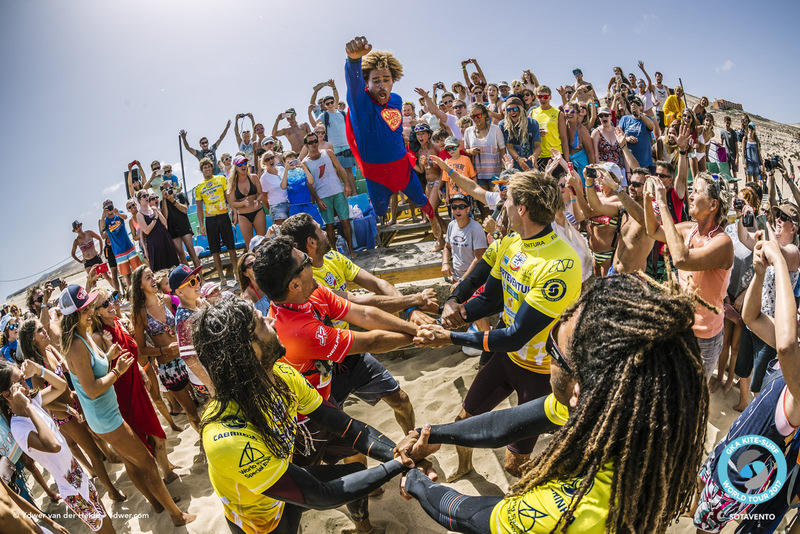 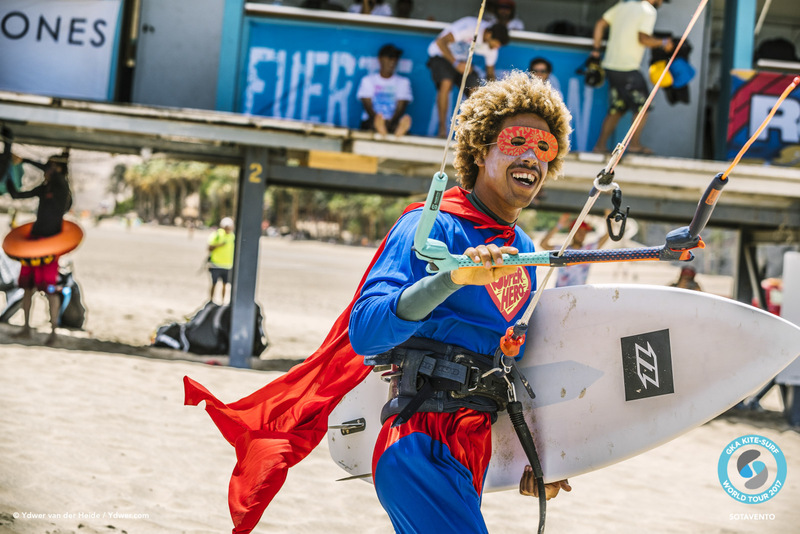 Matchu emerged from behind the judges tower wearing a full Superman outfit and proceeded to team up with Paulino, Jan Marcos and Airton in successive attempts to nail the elusive ‘triple stack’ in which three riders kite along sat on each other’s shoulders. 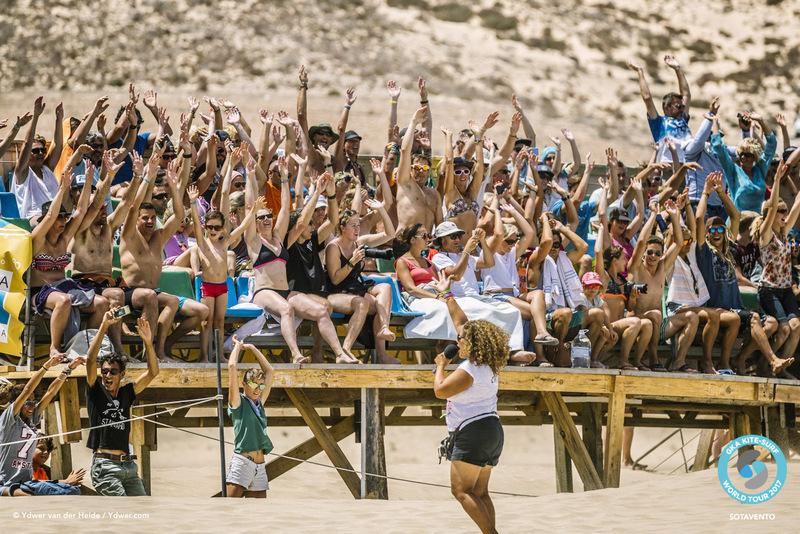 They came close to pulling it off before an epic line-tangle (which was perhaps inevitable) and then Airton channeled Sir Richard Branson by plucking a willing participant from the audience and riding off the beach with her on his back. 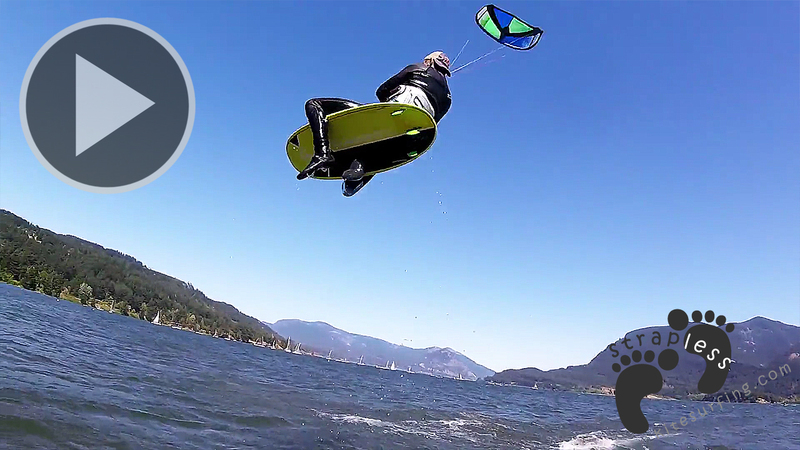 Unfortunately, they encountered a low-patch of wind on their way back and she got dunked but these things happen! 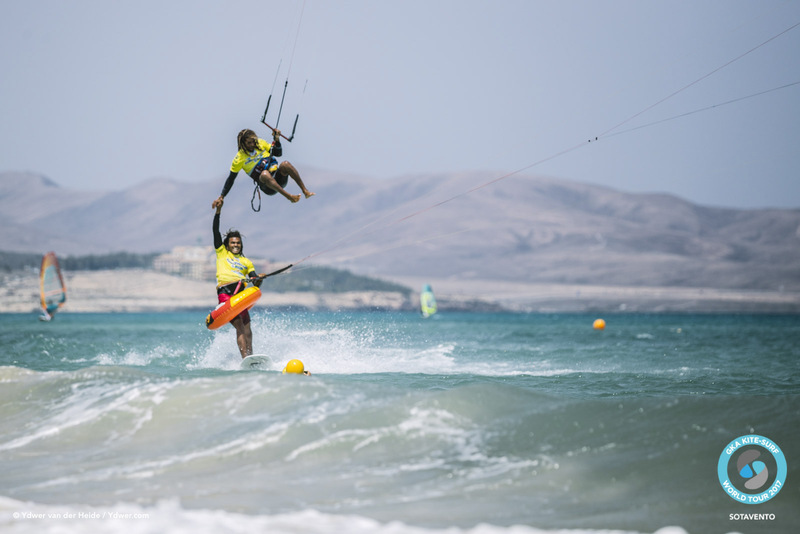 Although today’s session was all about fun it did also highlight the sheer level of kite / board control and skill the riders on this tour have at their disposal. 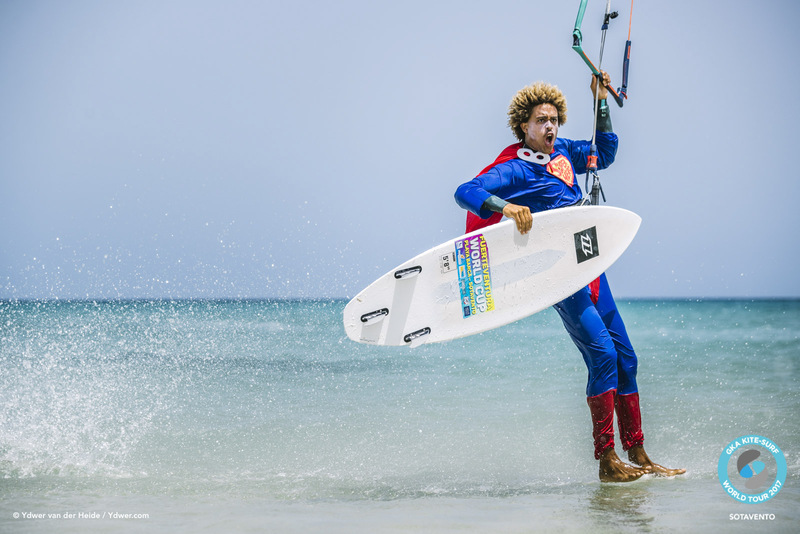 Whether it was Keahi kiting along on the nose of his upturned board before casually flipping it onto its base and riding away or Jan Marcos manoeuvring his way through the crowded contest zone riding two boards while wearing a rubber ring – it may be funny but it’s impressive nonetheless. 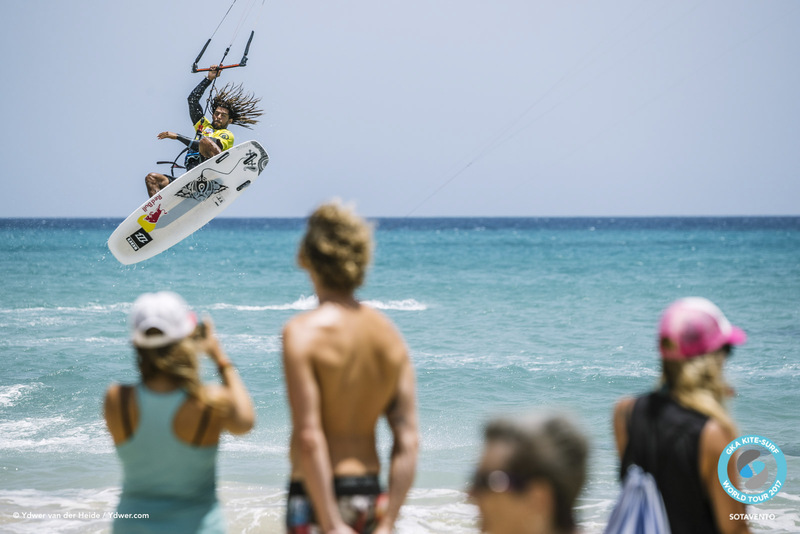 Today marks the end of the event and the goal is still to hold the Big-Air comp if conditions allow. 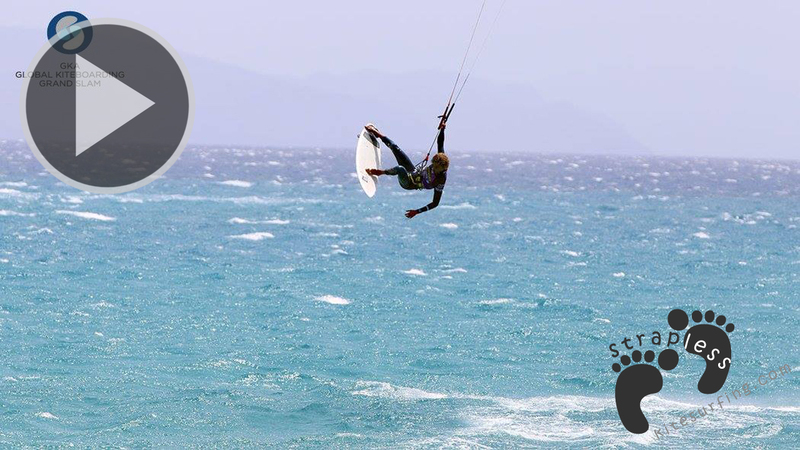 The riders will be looking to end what has been an epic event with a bang so keep an eye on GKA socials for regular updates.